The GEO Collective recognizes a great deal of untapped potential for collaboration and solidarity between organizations using different models to develop worker co-ops. Not only has interest in the development of worker cooperatives increased over the past couple of years in particular, but so has discussion about what are the best models to use and for whom. We hope to contribute to this dialogue by describing (and categorizing) some of the major models in use, and briefly discussing their strengths and weaknesses. We hope that our readers, and members of the forum and July 8, 2011, conference on "Advancing Worker Cooperative Development" (ADWC), will come out with a clearer understanding of the variety of models used to develop worker co-ops, their major components and assumptions behind them. We hope that the conversations and dialogues that are inspired from our summary and the other articles in this issue, and that occur through the ADWC forum and conference, will help us all to gain more clarity about the benefits, advantages, basic accomplishments, limitations and challenges of their particular approaches to worker cooperative development. It is also important to know what is gained and what is given up when certain models or types of approaches are chosen. Develop an authentic, organic ownership culture among the worker owners. The ways to measure effectiveness can be connected to existing co-op principles such as the International Cooperative Alliance's seven co-operative principles and co-op values, the ten Mondragon principles and corporate values, the Madison Principles , and the Cooperative Index's eight principles. What do we mean by "models of worker co-op development?" We mean identifying and categorizing development strategies according to elements about how and why, by whom a co-op was initiated, original ownership culture and funding sources. Established approaches for starting worker co-ops include self-organized groups, worker co-op-led efforts, federation support, retiring founders selling to employees, non-profit/community economic development incubators, union initiated, worker buyouts of closing factories/recovered businesses, and government-initiated. Key allies for those starting worker co-ops may be other co-ops, cooperative development centers, employee ownership centers, federations, trade associations, advocacy organizations, loan funds, community development credit unions and foundations. We can categorize worker co-op development models along those dimensions. Who initiates the development effort? What are the values that they (developers or founders) bring to the development effort (consciously and unconsciously)? What is the ownership model at start-up? In the long run? Is ownership an important initial component? What is the management/workplace culture model at start-up? In the long run? Is creating a worker-owner culture considered secondary or only important after establishing tight, break even operations; or is it viewed as a start-up advantage and essential from the beginning? How long does it takes for full ownership culture/long-term self-determination to take hold? Does this ever fail to happen? If so, why? What are the keys to actually developing a worker-ownership culture? What are the development missions: economic development and job creation through worker co-ops, or creating high quality jobs, democratic workplaces, and ownership culture. These are by no means simple, uni-dimensional relationships, and answering the above questions can reveal important complexities. We have already noted tensions between "bottom up" and "outside agency/top down" approaches to worker cooperative development. It will be important to discuss these more fully. Some of the sponsor-initiated cases might well have different missions than the "pure" worker co-op-initiated efforts, but nonetheless support the worker co-op mission, or include it as part of their mission. "Different" does not have to mean conflicting, however. This is important to recognize. Also, some "bottom-up-initiated" cases might have no other goal than the well-being of a single enterprise, owned by its members, rather than also seeking to provide opportunities and resources for developing a cooperative economy accessible to all, or even all in a given region or sector, who need high quality employment. So who initiates does not always answer the question of whether or not the development is part of a larger workplace democracy and cooperative commonwealth movement. We are therefore not satisfied with the taxonomy we have developed, but offer it as a starting point for understanding worker co-op development models. As a footer we provide some quotes from people who have contributed to our online forum in early 2011. We hope that this discussion of worker cooperative development will not only continue at our conference in Baltimore, but also on our website. Let us honestly and thoroughly discuss these issues in constructive and supportive ways. "If there are cooperatives that require resources in places that have very little, (and I am only referring to financial capital) is there a way of attracting large amounts of funding without subverting democracy in the coop? Especially if the cooperative is initiated by well intentioned outsiders and the money is coming from external sources. So, can future co-op members not participate in the planning stages but be integrated in the decision making process later on? For example, can a developer compensate for members? lack of participation in the initial planning /start up of the business by doing things like member driven leadership training (the developer provide the skeleton of the material, but the members provide the meat and direction of the training), or ensuring there is a strong communication channel between the members and the funders/developers or whoever the initiators are? Or is there no compromise in this case?" "The Evergreen Cooperative Corporation (ECC), is a nonprofit holding company with a multi-stakeholder board, including representatives from existing worker-owned co-ops, foundations (funders), city government, and buyers (anchor institutions). Actual development involves a development team that includes the Democracy Collaborative (nonprofit developer), the Ohio Employee Ownership Center, Cleveland Foundation program officers, business experts, and anchor institution (university and hospital) representatives. (There is a more detailed vetting process, but this gives you an outline). 1) Stabilize the low-income (area median income is $18,500) neighborhoods in East Cleveland neighborhoods (Greater University Circle). 2) Build wealth for individuals and the community..
3) Create jobs and ownership for community members in an "employment desert." 4) Have a favorable environmental impact. 5) Redirect the purchasing stream of area institutions so that they bring needed resources into low-income communities." "It might be cool to have a survey of worker co-ops to see exactly how their original funding got put together. Most businesses in America are considered small business (like most worker co-ops), and almost all of these were initially funded by the equity of the new owners. Also, to me, taking things to scale will include taking the worker-owned business model to SBA and SBDCs and Chambers of Commerce and Community Colleges around the country." 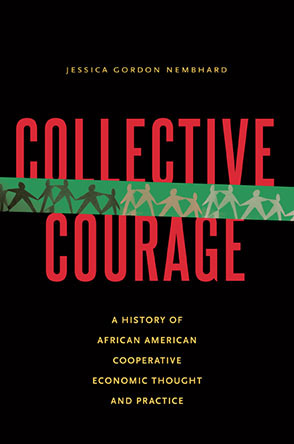 "Social goals are long embedded in cooperative campaigns, from the spillover thesis, "which claims that participation in workplace decision-making increases the probability of participation in wider politics outside the workplace," to the use of worker cooperatives as a tactic to "strengthen the union, its members and the labor movement" to the very broad but potent ICA principle of Concern for Community. If your question is about how to bring these themes into a forum about the practical mechanics of development, my suggestion would be to discuss "how social goals support development," including motivating workers, helping to establish community partnerships, and positioning the business as a leader in its field, all of which can benefit the internal measurements of business success and ownership culture." The permanent link to this issue is http://geo.coop/node/627.